OLD PARKED CARS. : 1970 Volkswagen Karmann Ghia. This is a good-looking Volkswagon, with its arched back and elegant color choice. I like how the Italian body is distinctly different from the more compact design of the Beetle. It also seems to have a longer chassis than the conventional Beetle, which would probably translate to better handling around the corners. It would probably require a more powerful engine. However, better performance can be obtained if better balance is achieved between power and handling. Need more pictures of this one! 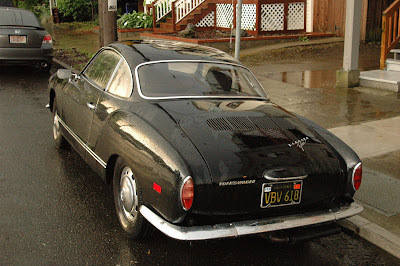 Awesome Karmann Ghia. 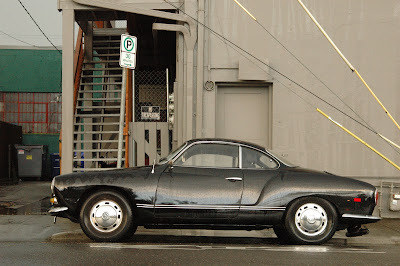 I haven't come across this it yet, but I've found a few of the other Volkswagen's you've posted in the past. I'll be on the lookout for this one now. 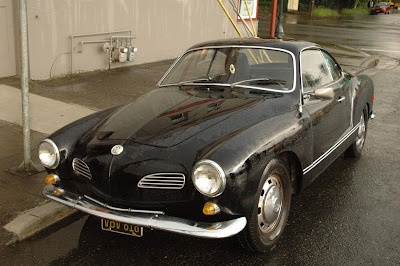 I just put 1,9-liter engine with double DellOrtos to my '63 model KG. Haven't started yet, I've no idea what it will be like. I don’t know what it is with old Volkswagen cars that makes them so desirable, even after all these years. Maybe it’s the simple elegance of the exterior. Or maybe it’s the amazing detailed interior that screams vintage and glamorous. Anyway, Volkswagen may have a lot of new and modern designs now, but in my heart, it’s still the old VWs that I’ll always love.